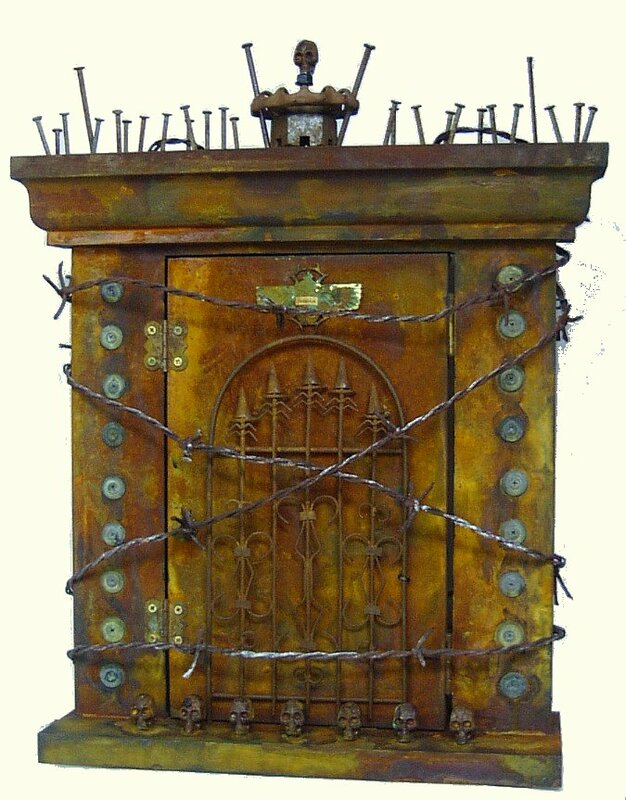 Created for the Mystical Door Tour. 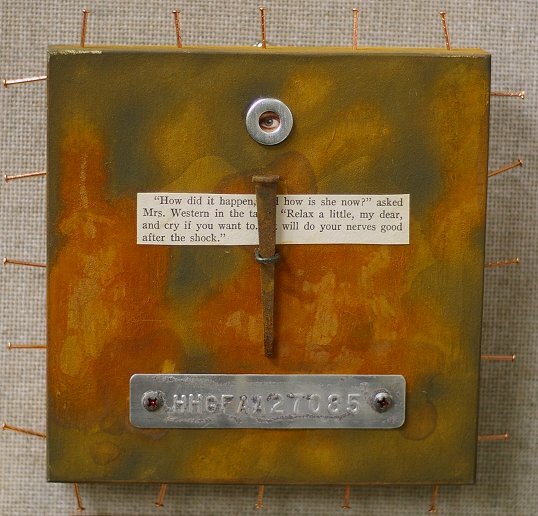 These three pieces (above) were created for the ArtSplash miniature auction in November 2007. 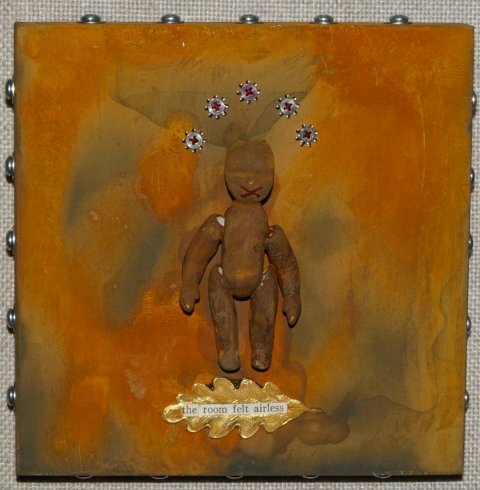 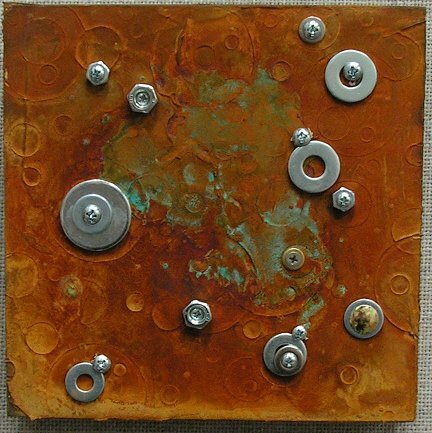 This is a piece I did in January 2006 for the Mary Lou Zeek Gallery to benefit SOLV. 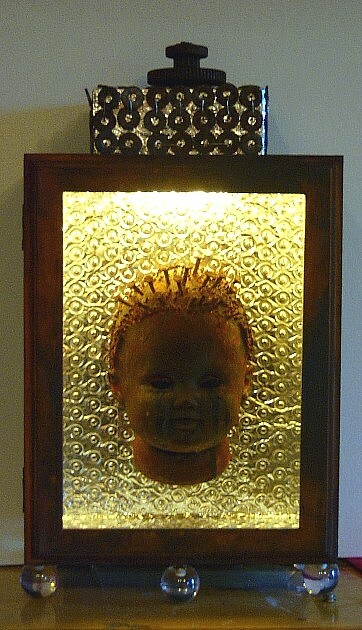 Suspended, mixed media assemblage, about 14" high. 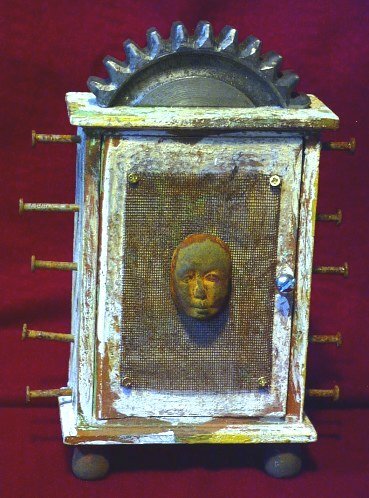 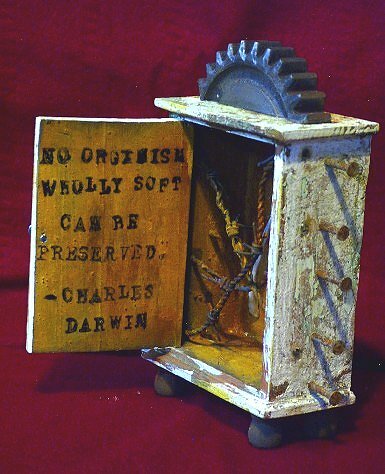 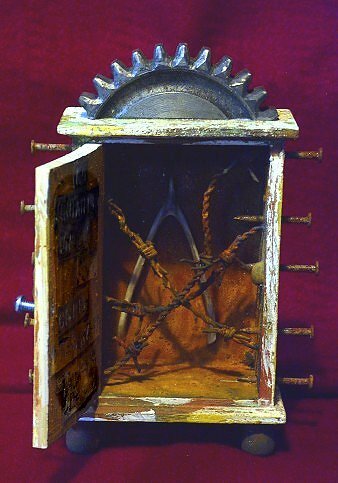 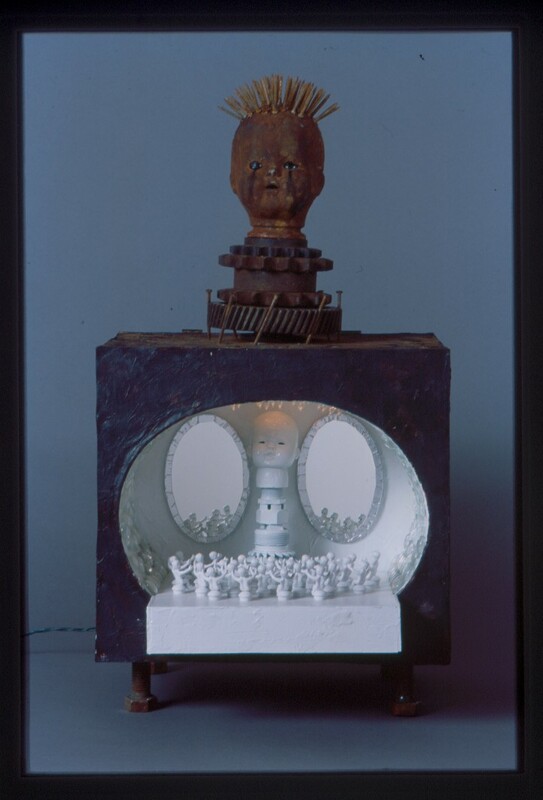 Shiny on the Inside, Mixed media assemblage, about 24" high.